McKee's 37 Carpet Extractor Pre-Treatment worked exceedingly well. Applied it to a few pesky stains and waited no more than a few minutes and with no scrubbing the stain was gone. It was that simple. No extraction needed in this case. ProsVery easy to use and works as advertised. Works great as a general carpet prespray & spotter before extracting. Just used a half a bottle to detail a trashed Toyota SUV. Definately better than the discount store brands. Although a bit high in price. We have just started using DP Carpet extractor with the aztec hot rod. When you spray on light stains after 30 seconds some stains disappear just with spraying them. While it does not remove everything it seems to work well but it is the only thing we have used so I can not compare to other products. It does not have a strong scent and doesn't foam up which is good for an extractor. This product is way to much money for way to little product. 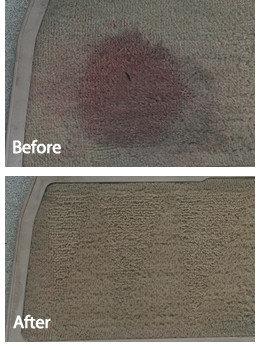 If you want to pre-treat, which you should, go to your local carpet cleaning supply store. Not a bad product but you can get the same kind of stuff that actually works better for a fraction of the cost.